Separate or cut dough into 2 long rectangles (if using crescent rolls, press perforations to seal). Place on ungreased cookie sheet; press into 12x8-inch rectangle. Bake at 375°F 6 minutes. 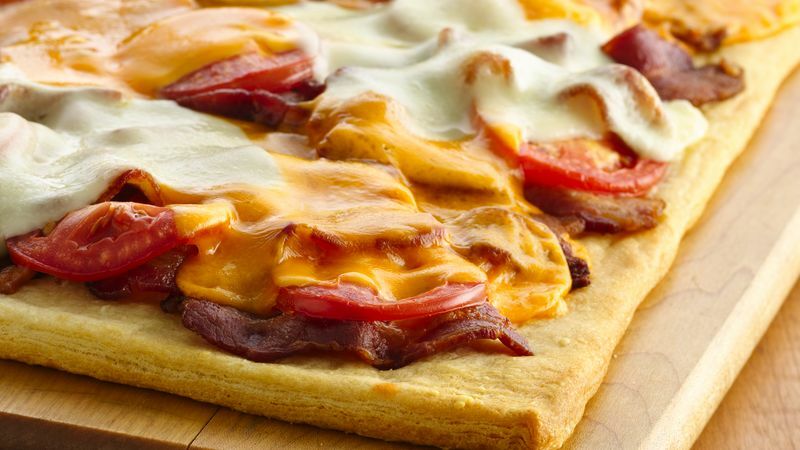 Top with 3 slices each Cheddar and mozzarella cheese, bacon, tomato and remaining cheese slices.